October | 2006 | . Now we’ll look at why this helped lead the end of the Cold War. Really, it’s very simple. As the Cold War entered it’s fifth decade, both the US and the USSR had amassed vast nuclear arsenals capable of destorying the planet several times over. Spurred on by worldwide concern for the survival of the human race and such memorable bumper stickers like “Arms are for hugging” and “Build schools not bombs” the rivals did agree to control and/or limit the production and deployment of some such weapons. However, these agreements only applied to certain types of weapons and the bomb building continued, much to the chagrin of shelterless schoolchildren the world over. contributed to the decline of it’s economy. Wait, that wasn’t an expert, that was me. It wasn’t all economics that ended the Cold War. Unrest among the people of the Soviet satelite country’s, especially Poland, finally reached a head. Leaders emerged in these nations that challenged the authority of their Soviet-influenced overlords. They demanded more personal freedoms, freedom in the press, freedom of political will, you know, nothing major. In earlier days such appeals would have been answered with the boots of Red Army soldiers and cordiality of a Kalashnikov rifle. Gorbachev did nothing, and the people were bold. They tore down the Berlin wall while soldiers looked on. Not to say that there was no bloodshed in the wake of these actions, but it was, by anyones assesment, extremely minor. 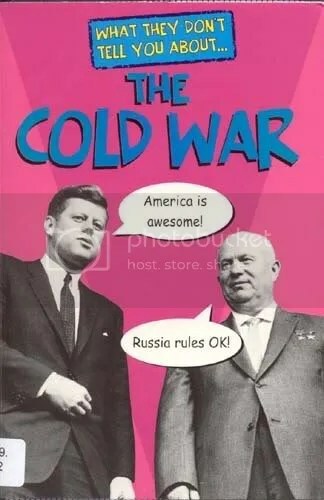 My humble analysis can’t do the subject the justice it truly deserves and I would again encourage anyone interested on the subject of the Cold War to read…The Cold War. If you missed it, you can read my review here. Hope this answered some of your questions, Josh. That is afterall this blogs reason for being. Flags of Our Fathers is at once stirring and sobering. The story of the six men who raised the replacement flag on Mt. Surabachi has all the elements of a Shakespearean comedy, history, and tragedy rolled into one narrative. Bradley tells a brief biography of the six men, all from very different circumstances and backgrounds from all parts of the country. Mike Strank of Pennsylvania, the son of Czechoslovakian immigrants; Harlon Block, a Seventh-Day Adventist high school football star from Texas; Franklin Sousley, a good old boy from the backwoods of Kentucky; Rene Gagnon who worked with his single mother in a textile mill as a teenager in French-influenced New Hampshire; John Bradley the quiet, serious and devoted Catholic son of middle-class Wisconsin parents; Ira Hayes, the aloof Pima Indian from Arizona. The descriptions of the battle are raw and told with vivid and unsettling detail. For every story of stirring heroism in the face of withering enemy fire, corpsmen rushing to the aid of the wounded through sheets of hot lead and Marines drawing enemy fire away from their buddies, there is one of cruel and seemingly random tragedy. Two buddies in the same shell crater and suddenly one is blown to pieces by a mortar shell. The Japanese were dug into the terrain itself, practically invisible to the slowly advancing Americans. Some Marines said it was like fighting the island itself. They saw very little sign of progress. The Japanese would pull their dead back into their blockhouses and caves leaving no evidence of success for the Marines. The author pulls no punches and through quotes from survivors and his own research describes the battle as it was fought–brutal and without mercy. The flag raising event is the central event of the book, obviously, and serves as a catalyst to shift gears from military operations to the surreal turn the lives of the three remaining flag-raisers took upon returning to the states. 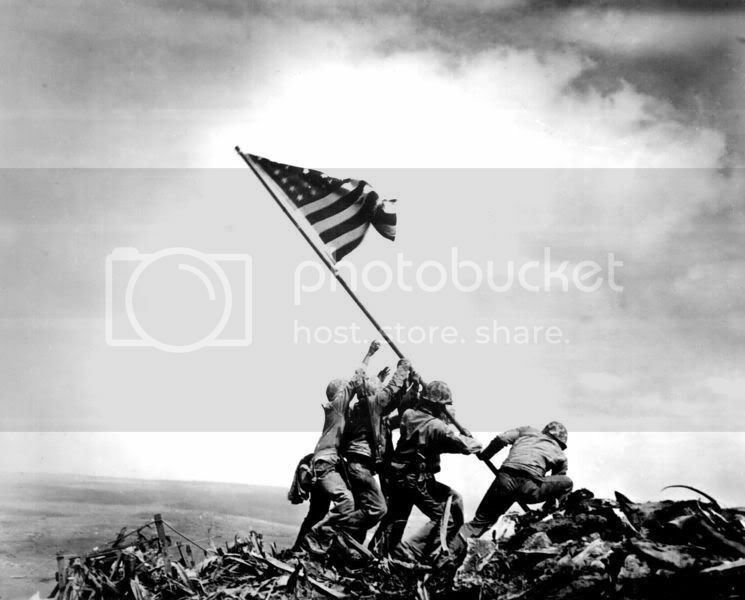 The chance photo had been embraced by the American populace as a symbol not only for the courage and bravery displayed by “our boys over there”, but as an icon of fundamental American values. The photo was the centerpiece of a war bond drive to raise funds to continue the war and the living flag-raisers were to play a central part in it. They adjusted with varying levels of success to the stark contrasts between the bloody battlefield they just left and the throngs of adoring crowds and star treatment on the war bond tour. When a photograph becomes an icon, the individuals in it cease to be individuals and are lost to history as symbols of a time or event. Flags of Our Fathers brings these six men back from history as young, vibrant men who knew they had a job to do and did it in some of the worst conditions imaginable. They fought for their country, but fought harder for each other. They were individuals with families, three of which would never see them again. The survivors didn’t want to be called heroes. But if they weren’t heroes, then such men don’t exist. Here is a pretty cool map animation that shows the various Middle Eastern empires over the centuries. Enjoy. The answer to this question kept getting longer and longer, so I’ve decided to break it into three parts so as not to frighten away my loyal readership, at least not any more than usual. This post constitutes part 1. The reasons for the Cold War’s end are larely economic. Since the Cold War was a, eh, cold war, meaning there was no direct military conflict between the main beligerents, it would not, or could not, be won by force of arms. As I’ve mentioned in earlier answers, both sides were well aware that such a conflict could very well have ended in total anilhilation for everyone. And really, where’s the fun in that? So, the Cold War would be won not so much on the direct strength of one’s military, but on the sustainability on one’s economic system. Hence, the short answer to this question is that a capitalist, market economy was, and is, more sustainable than a communist, planned economy. At the surface, it would appear that a planned economy is clearly the better option as it would seem to be less vulnerable to the boom-and-bust cycles of a market economy and the wealth generated would be distributed fairly amongst the populace. 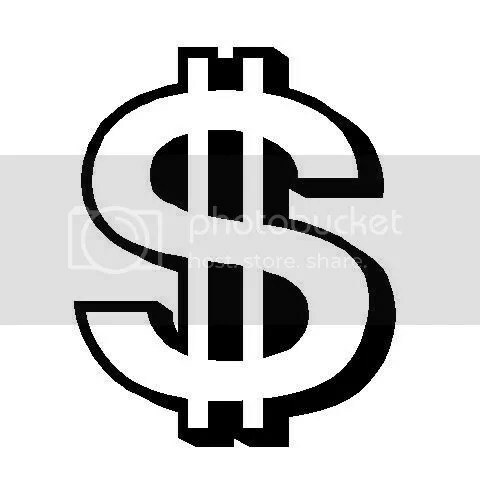 Capitalism, essentially, is predicated upon greed. An individual is free to do whatever is legally allowed, if not at least ambiguously unethical, to create greater profits for himself. There is a problem, however. In order to plan an economy, a government must control the means of production, distribution, and the flow of capital. This leads to a bloated government beaurocracy and the lack of competition quashes growth and improvement. A greed-fueled capitalist must always stay one step ahead of the other guy in order to be on top. This leads to a constant improvement of the product and relative stability in prices as rival business compete for customers. Some rules are neceasary to keep things in line, which is why there are anti-trust laws in place to prevent monopolies. In a planned-communist economy, pretty much everything is a government run monopoly. In summary, planned economy stagnates growth, capitalist economy encourages growth.